Founded in 1995, Aralia has provided intelligent surveillance solutions since 1997, making it one of the oldest and best-established companies in the intelligent surveillance market. Originally conceived as a solution to secure transportation and critical infrastructure, Aralia’s software was designed to enhance the overall security of rail systems, airports and public buildings. 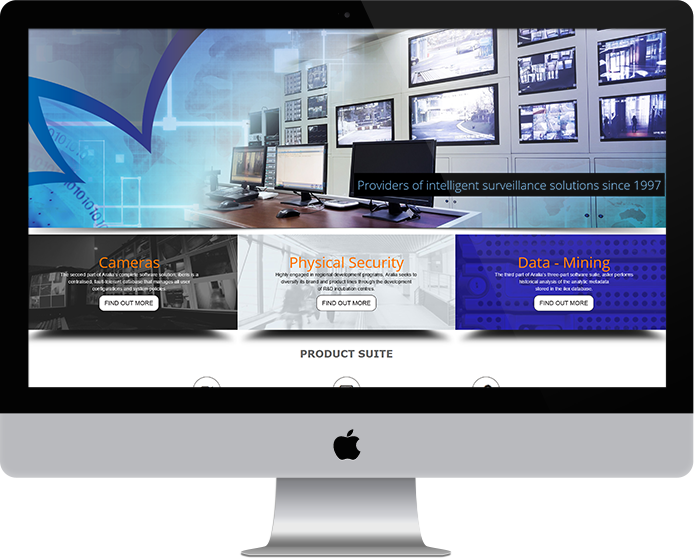 Its suite of products now includes advanced video surveillance systems, a digital control room functionality, and retrospective searching and analysis of databases. Our brief was to deliver a new, up-to-date web presence for Aralia, which would showcase its ground-breaking technology and research to potential clients in both the UK and the US. As a technology-driven company, it was vital that the new website’s visual design reflected this but that the content was easy to understand. The client provided most of the copy, and our writers tailored this to be suitable for a wide audience. a 9-element slider which is delayed and linked together to create an attractive loading experience of multiple screens.